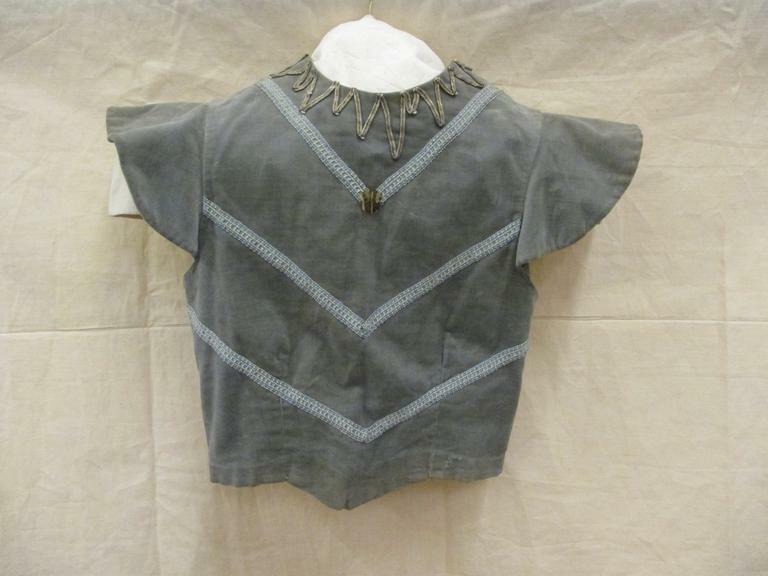 Tunic worn by Keith Beckett probably in Chopiniana. Brief sleeveless tunic of grey velveteen with slightly pointed lower front and curved shoulder 'caps'. Around the neck is a long-short zig zag of silver Russian braid. On the front, side to side across the body, armhole to armhole and from the shoulders, are V shapes in blue and white upholstery braid, the centre point of the top V being accented with a large plastic sequin. 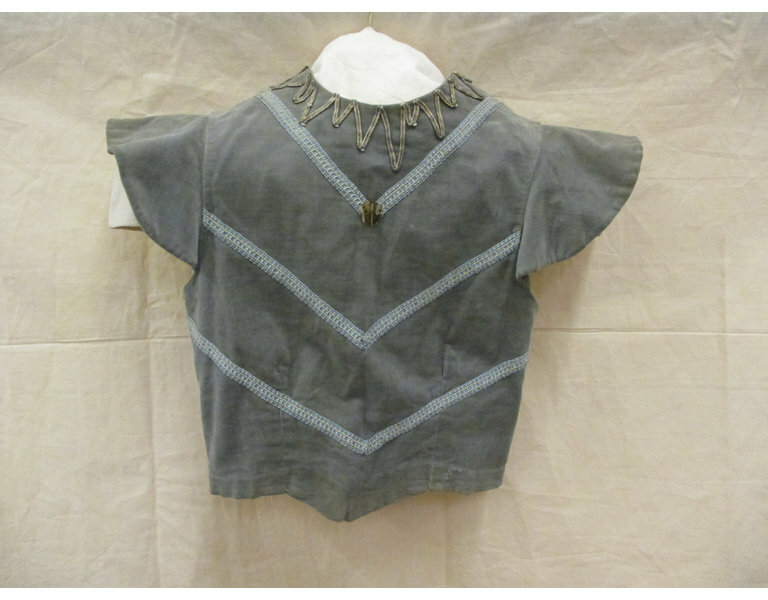 the tunic is lined with off white cotton and fastens down the back with hooks and eyes. At the waist is an elastic 'hoist'. Tunic worn by Keith Beckett possibly for the ballet 'Chopiniana'(?) with the Markova-Dolin/Festival Ballet, ca. 1950. 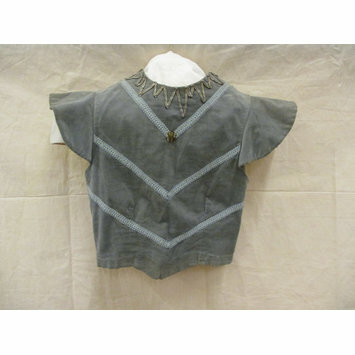 Grey Velveteen sleeveless tunic worn by Keith Beckett possibly for the ballet 'Chopiniana'(? ), Markova-Dolin/Festival Ballet, ca. 1950.